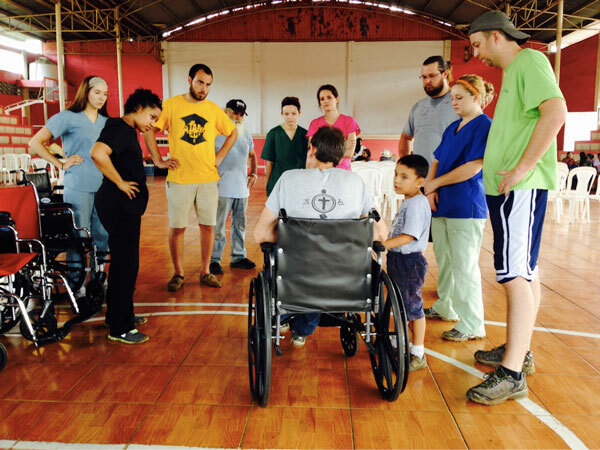 We were so blessed to be in Guatemala the week of January 31 – February 6, 2016. 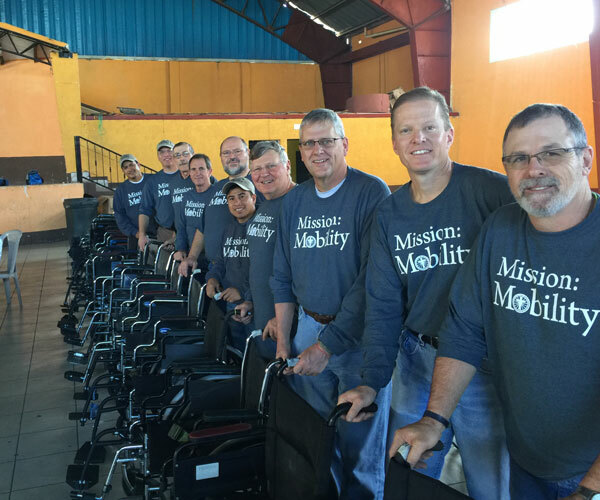 A team of 8 men from 6 states served in Guatemala, building houses, installing stoves and distributing 50 wheelchairs. You can read more about the wheelchair distribution here. This entry was posted in Uncategorized on February 11, 2016 by bclarkmission. If you are like me, when you hear the name Dori, you immediately think of the Disney movie where the little fish said, “Hi, my name is Dori!”. Well, this has nothing to do with Disney…or a fish. The other day, I stopped at a gas station to get a Gatorade and bottle of water. 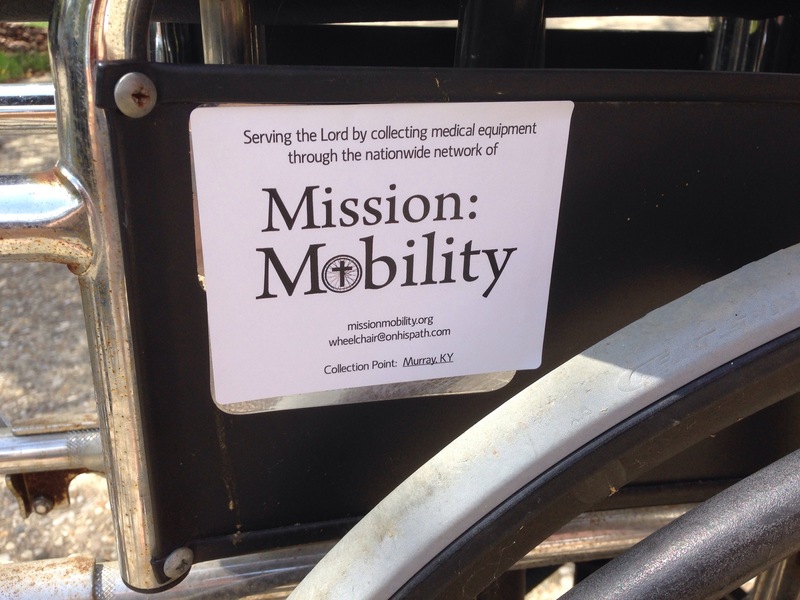 I was wearing my Mission Mobility t-shirt that says, “Got wheelchairs?” Well, it had the desired effect. I heard a woman ask, “What does your t-shirt mean?” I turned around and saw a woman pointing at my shirt. I introduced myself, and she said her name was Dori. 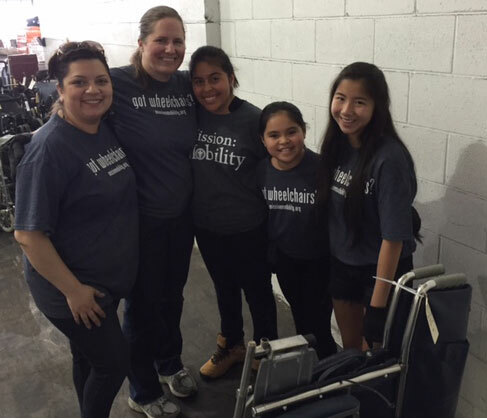 When I explained that I collected wheelchairs for Guatemala, she enthusiastically said, “I can help! I’m a dumpster diver!! !” She asked if I had a card. She said she had another friend who dumpster dives all the time and finds wheelchairs and walkers, and always wonders if there is a better thing to do with them than throw them away. I gave her one of my Mission Mobility cards I had made and she was excited. As I was leaving the store, she came up to me and told me here story of how she got to Louisville. Emotionally, it was a hard story to hear, as she has had a very difficult life. I felt like I was in Guatemala hearing one of the many family stories we hear when we visit. I asked her if she wanted my new bottle of water. She said she definitely would love it since she was really thirsty. 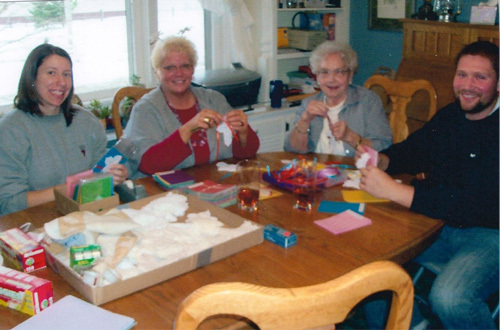 Even in the midst of her difficult life, Dori was trying to find a way to help other people. I am thankful God brought her into my path. 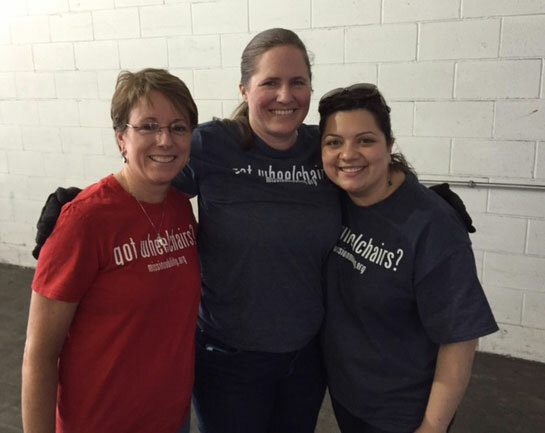 It all happened because I was wearing a t-shirt that asked a simple question…”Got wheelchairs?” Maybe we should wear these every day!!! This entry was posted in Uncategorized on October 1, 2014 by bclarkmission. 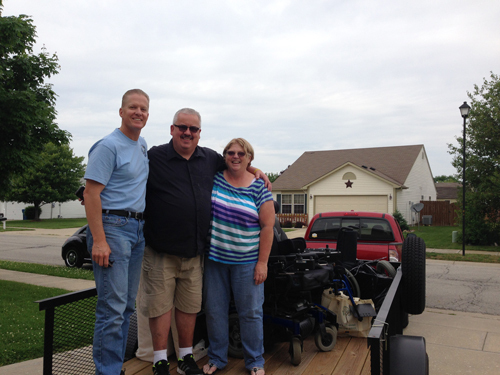 On Monday, Tim Fortner from Murray, KY drove to Louisville to drop off equipment collected by several people. 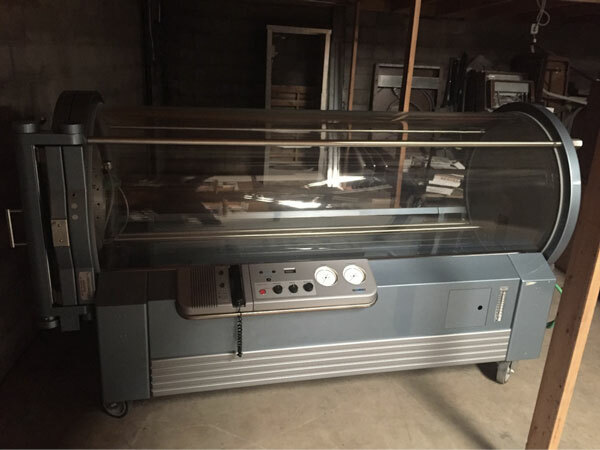 I want to thank Tim for going above and beyond in getting this equipment to me. He rented a U-Haul and made the long journey. 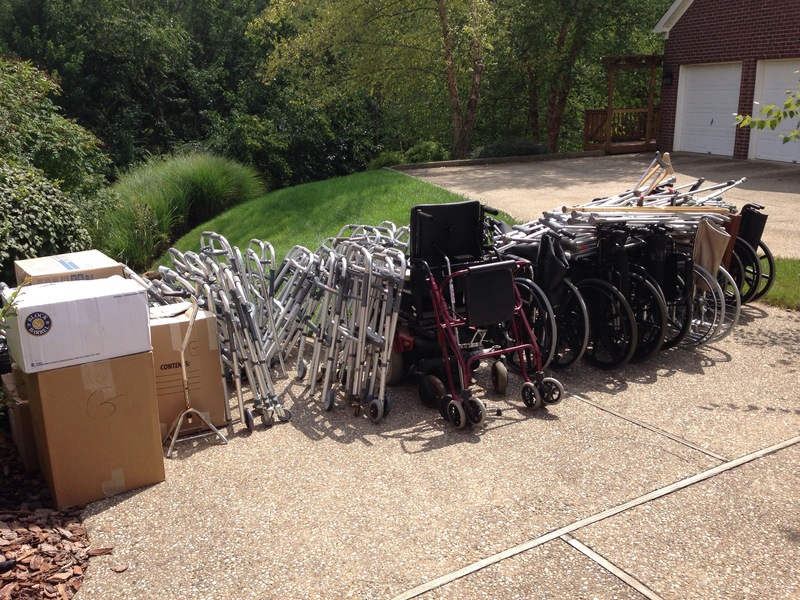 I was excited that all of these wheelchairs, walkers and crutches arrived now. We are planning on shipping a container to Guatemala on September 22nd. I am still short on chairs, so the timing is perfect. Also, these chairs were the first to get the new Mission Mobility stickers. Some day while in Guatemala, you may look down and see one of these at a distribution. 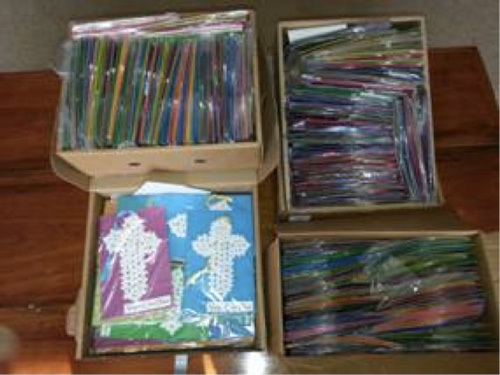 A special thanks to Tim/June, Roger/Belinda, Kim/Stephen, Ben/Britteny who all played a part in the collection. You all made a difference. This upcoming container will have chairs from Jacksonville, FL; Murray, KY; Louisville, KY and Indianapolis, IN. Praise God for everyone’s help!!! This entry was posted in Uncategorized on September 3, 2014 by bclarkmission. I recently received a phone call from a man in Indiana named Gary. He had gotten my phone number from Riley Hospital in Indianapolis. Riley has been very generous to us in our collection efforts. 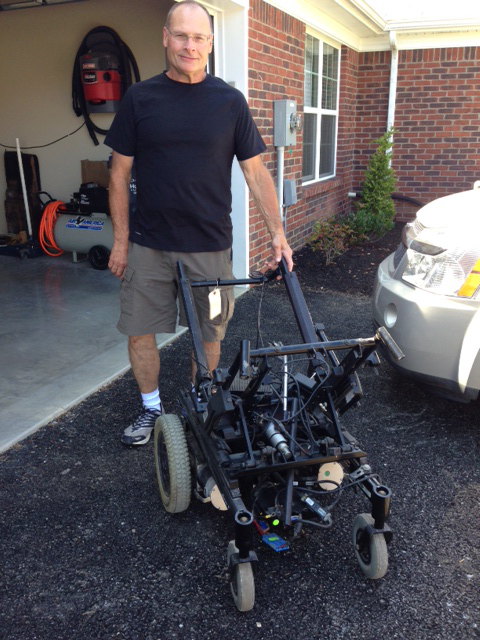 Gary and his wife Jacqueline had some chairs and equipment their son used. 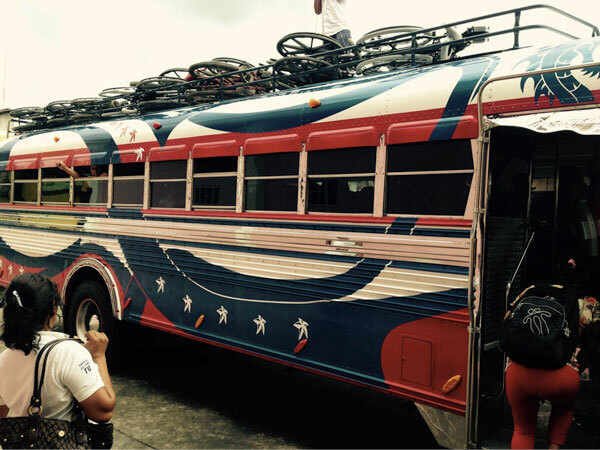 They wanted to ensure it went to a good cause, and wanted to find out more about our efforts at Mission:Mobility. I would like to spend a moment telling you about their son Jason, and how amazing of a young man he must have been. 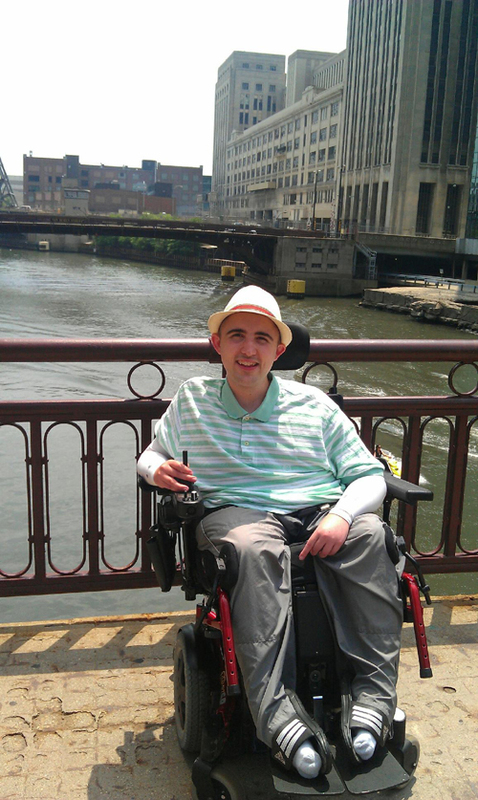 Jason had Duchenne Muscular Dystrophy (DMD), which is a life threatening disease. His dad Gary told me about how Jason chose not to focus on the negative of his condition, remain positive, and enjoy life to the fullest. 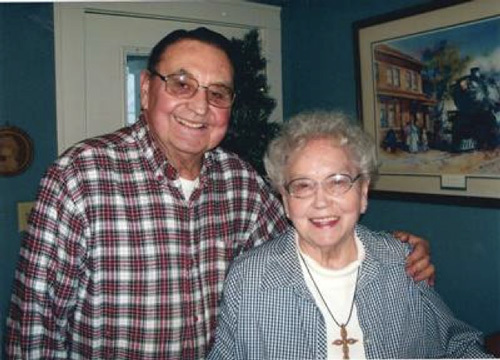 He served as the Indiana State Goodwill Ambassador of the Muscular Dystrophy Association, graduated from Greenfield Central High School where he was the manager for the football team for 4 years, basketball team for 3 years, and the baseball team for 2 years. He was also a member of student council his freshman year. Jason obtained an Associate Degree in web design from Penn Foster, and worked for EA Sports as a video game consultant for a while. He loved to travel and never let his condition limit his life. We can all learn so much from someone like Jason. In memory of Jason, the family began the Casto Muscle Foundation, which is intended to honor Jason’s mission and legacy for helping others. 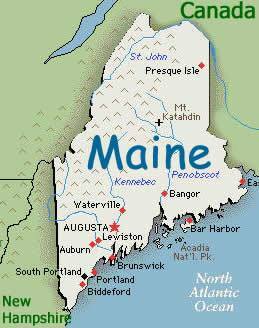 Their services include providing an annual scholarship for students with disabilities, assisting with needed medical equipment and/or the funding of medical payments to defer cost for patients and families. You can read more on their Facebook page. My daughter and I drove up to Indy to pick up the chairs and supplies. It was a blessing meeting his parents. I truly appreciate them allowing us to be the stewards for ensuring his supplies continue to bless others in this world. 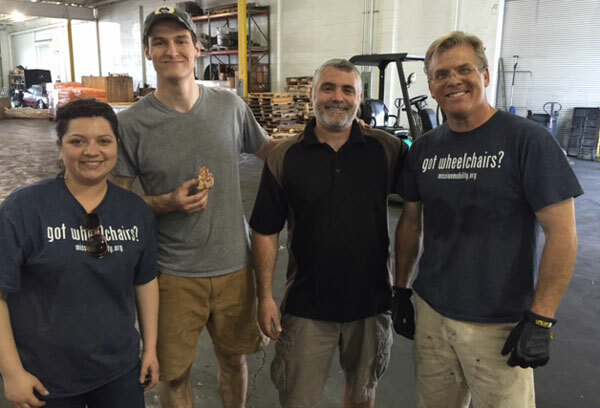 The wheelchairs will soon be on their way to Guatemala where Bethel Ministries International will make sure they are connected to a deserving individual. It is amazing how God connects us all in our efforts. 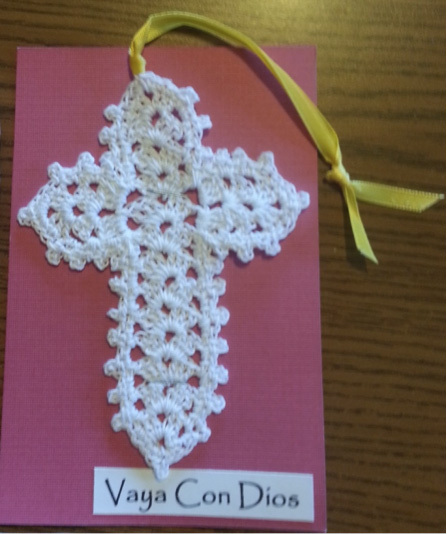 I pray that we have the opportunity to meet other wonderful people like the Casto family. Their son Jason has truly blessed us, and we thank them all for this gift. This entry was posted in Uncategorized on June 11, 2014 by bclarkmission. I have realized many things over the years about myself (some more profound than others). One that has become very apparent to me is, “I can’t do everything”. We have all been given different skills and talents. Some people are very artistic, some are analytical. I am an organizer and connector. One thing I cannot do is anything “mechanical”. I freely admit it. I’m not ashamed. I have simply not been gifted with the skill of working on, and repairing complex equipment. With this truth in mind, I have been at a loss over the past five years of collecting wheelchairs how best to handle chairs that are in very bad condition. Power chairs are very heavy. They also take up a lot of space on a shipping container. 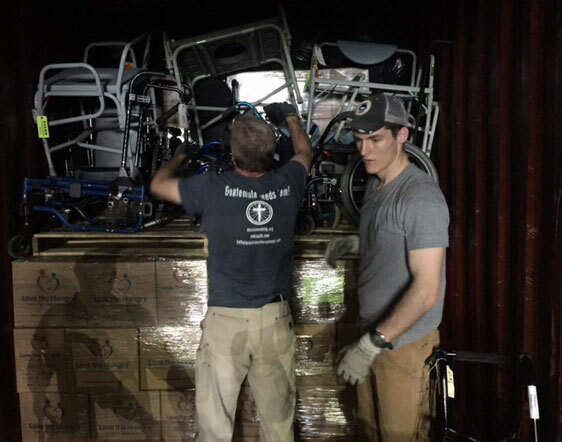 In many cases, the best thing we can do is take all of the valuable pieces such as controllers, computers, hardware, etc and send them down to Guatemala so that those pieces can be used on other power chairs. But, you have to be very careful so you don’t damage the electrical components in the process. This is where I get really shaky!!! I just don’t have that talent. I have been praying for help for a very long time. A couple of weeks ago, several of us were eating lunch and talking about life. I mentioned that we had many power chairs that needed to have the controls taken off, but I felt unable to do it properly. One of my friends sitting there was Tim, from Louisville. Tim went to Guatemala with our group two years ago. Tim just retired from working as a machinist. Where I am weak in skill, Tim has a wealth of talent. Tim looked at me with a big smile and said, “Brad, I’d love to work on those power chairs. Bring a couple by my garage, and I’ll dismantle them.” This is where you would hear the “Halleluiah Chorus” singing in the background! I was so excited!!! I immediately took Tim up on his offer. I just dropped two chairs off at Tim’s house this weekend. Knowing him, he probably has jumped in and already begun the process. This reaffirms for me that we all have to work together to make this thing happen. God has designed us to rely on each other. We each play a part. No one is better or more important than the other. I am so thankful Tim volunteered. If you know someone like this who has a talent, ask them to help. Tell everyone you know about our needs. Over time, our team will grow, and we will be much more effective in our connection and collection effort. This entry was posted in Uncategorized on June 2, 2014 by bclarkmission.